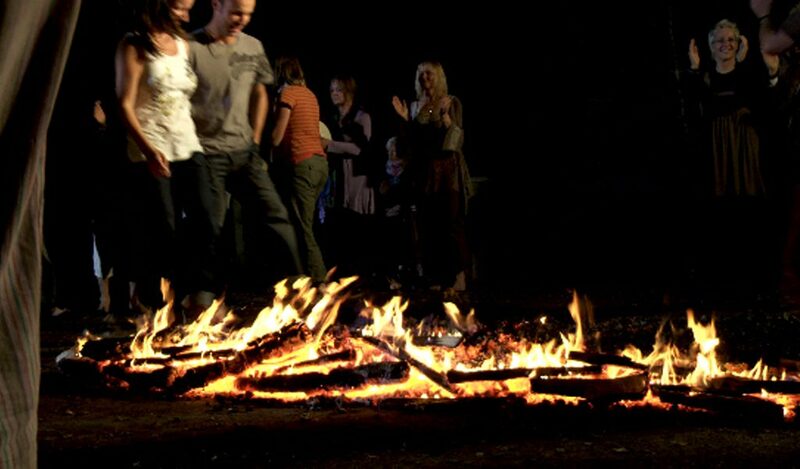 The ritual of Firewalking dates back before many religions and has been practiced throughout time by tribes and ancient cultures across the planet. The most well-documented users of the firewalking ritual practice include Native American tribes, Tibetan monks and African tribes. Lendrick Lodge is SUNDOOR’s European Center. One of the founders of the Western Firewalking Movement, Peggy Dylan, is a regular teacher here at Lendrick Lodge. 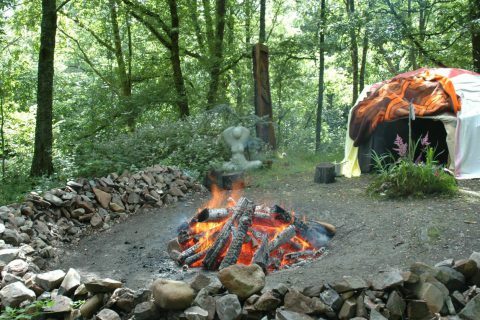 Both Stephen and Victoria Mulhearn are qualified SUNDOOR Masters who regularly lead Firewalks in the beautiful expanse of Lendrick Lodge. Stephen is SUNDOOR’s senior European Trainer. Over the last two decades Firewalking has helped manifest healing, joy, love and empowerment to thousands of people worldwide. 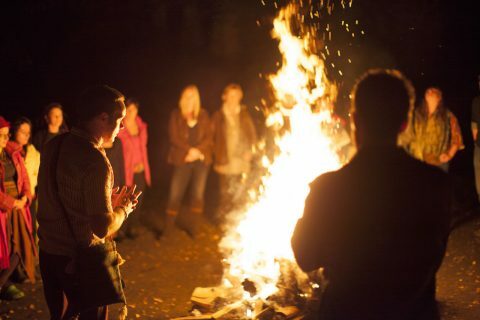 The firewalk ritual is life-changing for most people – a very personal experience with extremely positive effects in the short and long-term. a memory you will never forget! 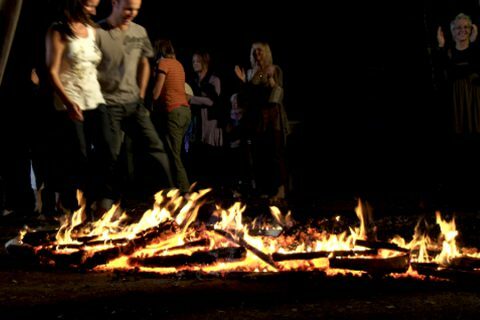 You can hire Lendrick Lodge for your own sponsored firewalk for charity. 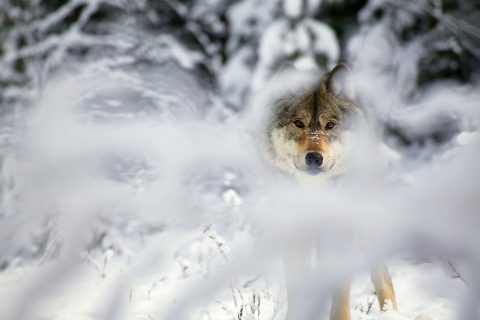 Just click here for details of what we can do for you.